I worked for years with Madeline in Seattle while she was in title. Her work ethic and caring is incredible. She takes customer service to an entirely new level. Her knowledge of the real estate transaction is amazing. Her title experience will greatly enhance her ability as a Realtor. I found that dealing with Team Childers has been very rewarding. Honest and clear information and direction to help me reach my goal of being a home owner. Quick to reply to my questions and very thorough information provided. 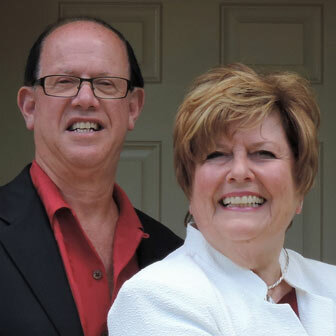 Tom and Madeline Childers are knowledgeable and resourceful realtors who above all are honest and have great integrity. They Have demonstrated how much they care about providing outstanding service. The Childers have been our realtors for over a year. From helping us find an oversized Florida lot in our chosen community, to helping us procure the adjacent lot, to referring us to a good realtor to sell our WA home, and finally through to the completilon our new home, they have consistently worked hard on our behalf. We are very thankful to have had such amazing and dedicated realty team! Tom gained our confidence by 1) presenting a properly qualified buyer, 2) doing thorough due diligence on the market and the lease, and 3) clearly explaining to the buyer the strength of Walgreens leases wherever located. His attention to detail, even-handedness, creative negotiating and oral communication skills overcame major closing issues—helping both parties achieve their goals. He was a pleasure to deal with, and I recommend Tom to both buyers and sellers of commercial properties—particularly in today’s tough real estate markets. Tom provided great service to us. We are very pleased with the purchase of our lot. I couldn't ask for a better agent. I had a VERY POSITIVE experience with Tom & Madeline Childers. I put my house on the market last year with another Realtor (for 9+ months) with whom i was completely unsatisfied. This year, in LESS THAN TWO WEEKS, the Childers Team sold my property. They were extremely PROFESSIONAL, PROACTIVE, PROVIDED FEEDBACK, FOLLOWED UP on repair items, and KEPT ME INFORMED. The complete opposite of my previous Realtor experience. I would highly recommend the Childers Team to my friends. Thank you so very much Tom and Madeline!!! I was very pleased with my experience. Team Childers did an excellent job. The property is exactly what I wanted. Tom Childers has represented me several times as a real estate broker with success. Tom is trustworthy and effective. He is also one of the most knowledgeable brokers I have come across. I heartily recommend him. I have worked with Tom for several years and have found him to be hardworking, honest and creative. He has always presented investments that are worthwhile. I highly recommend working with him.